The 83 residential sales in December 2018 represent another substantial decrease in volume when compared to the figures from a year ago. This time it was a 29% drop when compared to the figure for December 2017. As we have been seeing all year, volume has been down due to much of the investors and “speculators” being more cautious. The average sale price in December climbed a modest 3.0% to $678,900 year over year. As is typical in real estate here in Ontario, December was our least active month. 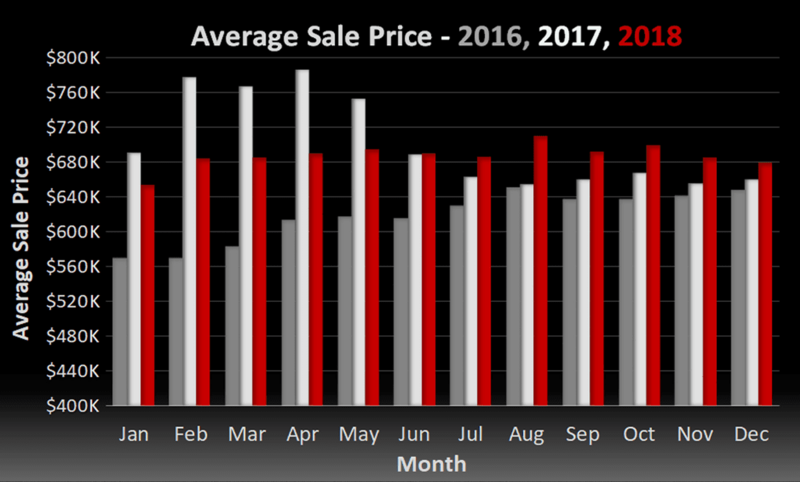 Inventory remains typical for this time of year with roughly 2.2 months worth on the market. 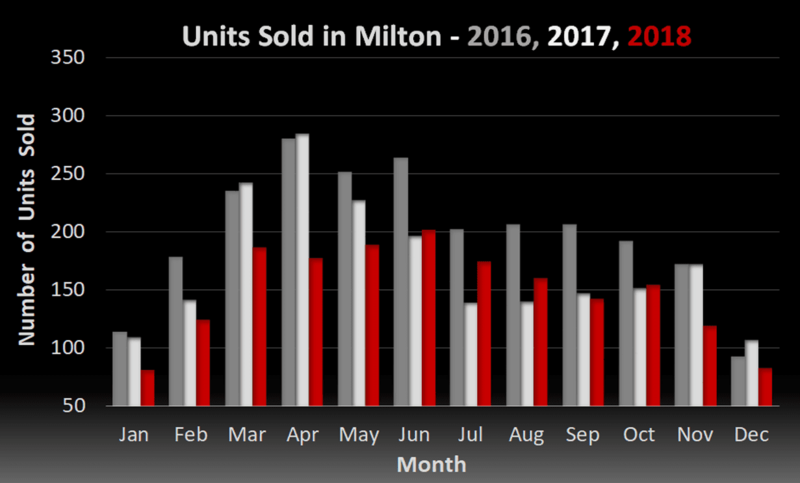 When looking at 2018 as a whole, the average price of a home sold in Milton was $688,800 (down 3.1% from 2017). When we eliminate the first 5 months of 2017, prior to the government “fair housing plan” and market correction, prices are actually up roughly 4%. Overall transactions also decreased in volume to 1789 units, down 14.9% from 2017. We have already heard many opinions about what 2019 will bring for the real estate market. Our prediction is for a continued balanced market with small and steady gains. We expect volume to increase slightly as people become more comfortable with making their next move. Immigration will remain at an all time high (especially to the GTA area), while new construction still lags behind. The one wildcard will be economic performance and the Bank of Canada’s decision with regards to interest rate hikes.